I love using all-natural products whenever I can, so I was really excited to get to try some products from Koru Naturals from this review. The New Zealand company offers numerous hair, skin, and body products featuring all-natural ingredients. For this review, I got to check out their Emu Oil and Koolpurrie Restoring Balm. 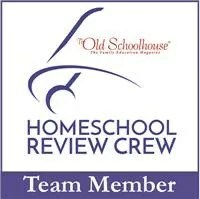 These products can be used for all ages, but work great for homeschool moms! Koru Naturals Pure Emu Oil includes no preservatives or additives. The Emu Oil is good for both hair and skin. You can use it as a deep conditioning treatment by rubbing about 5-6 drops on your hands and running it through your hair and then covering your hair with a shower cap or plastic bag for about half an hour. I do honey and olive oil treatments on my hair once a week, so I was anxious to give this a try since it would be a lot less messy! After rinsing and drying my hair, I found it to be very soft and shiny. You can also use it as a moisturizer on dry skin and it is supposed to be effective on fine lines and wrinkles. I have been trying it on some lines on my forehead for about a month and have not seen results yet, but I will give you an update if I do. 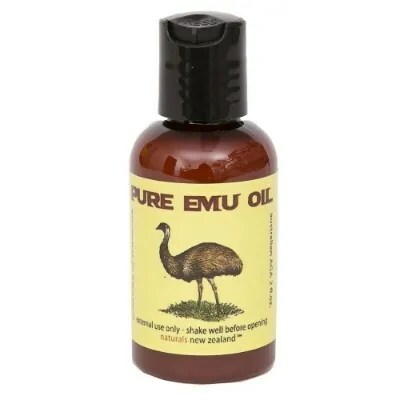 The Emu oil comes in different sizes, and the two-ounce bottle I received costs $9.85. Since you only use a few drops at a time, a small bottle will last a long time. 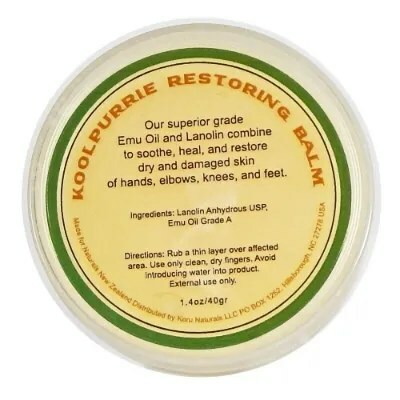 Koolpurrie Restoring Balm is a thick balm made of Emu oil and Lanolin made to help very dry skin. Perfect for moms who wash a lot of dishes, the heavy balm is a great treatment, especially during the winter months. I always applied mine at night before I went to bed. In the morning when I woke up, I could still feel some of the softness on my skin and I noticed that, over time, my hands felt softer in general. Some nights, I put light gloves on my hands to protect them overnight. One container of the balm costs $12.50. Depending on how much you use it, that could last a really long time. The balm is recommended for those with sensitive skin and also for the elderly or bedridden patients. All ingredients in the Koolpurrie balm are natural and it also includes Omega 3 and Omega 6 fatty acids. It is even more effective when you apply it after a shower or bath to seal in moisture.